Help skin stay soft over winter with seed oil moisturisers - Amphora Aromatics Ltd – Supplier of pure essential oils and aromatherapy Products. 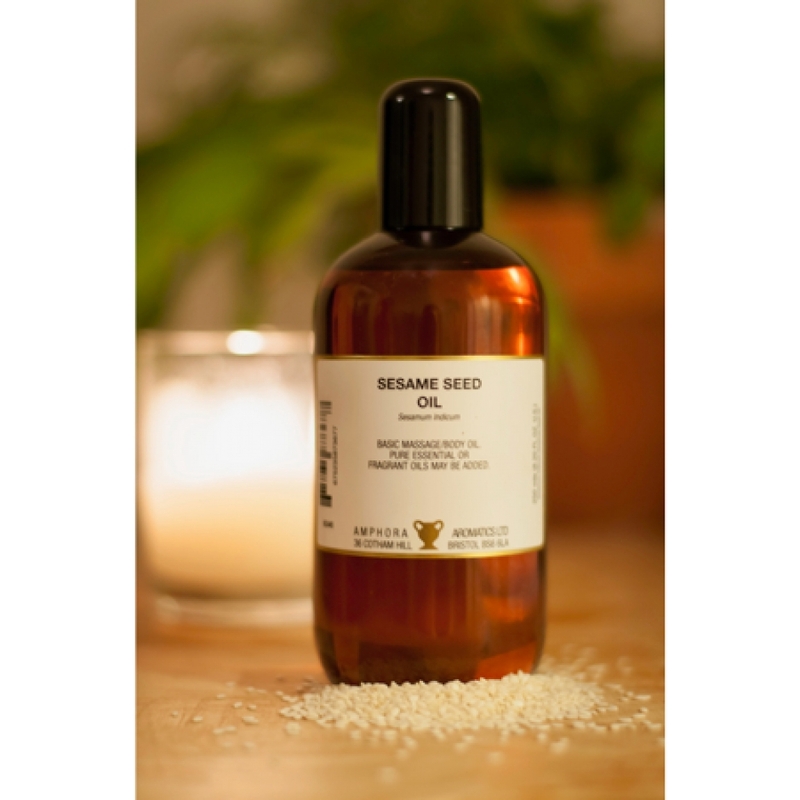 I have been using Sesame seed oil, one of our lighter carrier oils, which is great for all skin types, including sensitive skin. Rich in Vitamin A & E, it is a good choice for those with eczema as it has great healing properties and will help sooth itching, irritated skin. Often used in Ayurvedic treatments, a small amount of sesame oil (2-3ml) applied gently to the face after washing can help restore the skin. If, like me, your skin is naturally oily use just 1-2ml, applying oil to oily skin might seem unnatural but sesame oil can help balance natural sebum produced by skin. If you want to, you can add 1 drop of a nourishing essential oil such as Rose Geranium (known to be cleansing and balancing) or Chamomile Roman (said to have anti-inflammatory and soothing properties). Grapeseed oil is one of our best sellers and the number one oil for those with a nut allergy. Grapeseed is becoming ever more popular thanks to its relatively light consistency and its fantastic moisturising and regenerative properties. I like to use Grapeseed oil when giving face massage but it also works as a daily moisturiser. Rich in essential fatty acids and Vitamin E, it is great to use on the face, particularly around the eyes, leaving your skin feeling nourished. It is said Grapeseed oil has the ability to reduce pore size if used for a long period due to its slightly astringent properties. This is good news for combination and oily skin types. Known as the "Wonder Oil", Rosehip seed oil is great for all skin types and for use on the face. It can be effective for treating scars caused by spots or acne, burns and other skin blemishes. Rosehip oil is rich in bio-retinol and so helps promote cellular renewal to significantly improve the condition of skin with scars. Rejuvenating and regenerating, Rosehip is a light oil that absorbs quickly into the skin and doesn't leave a greasy residue. It contains skin repairing Vitamin A which can help reduce scars and wrinkles and is a good source of essential fatty acids which help your skin to regenerate. Rosehip Seed Oil is one of those oils which is fantastic when used on its own and doesn't really require the addition of essential oils to improve its performance. However, it's fine to add a drop of any oil you like even if only to improve the aroma. As always, a skin patch test should be carried out before full usage of any natural product or blend. Make a small amount of your blend and put a drop on the inside of your elbow. Wait 24 hours. If you experience any swelling, redness, sensitisation or discomfort then you’ll need to establish which oil is causing the problem and replace it with another one. To do this you’ll need to perform a skin patch test for each ingredient.